Find below MCQ (Multiple Choice) questions and Answers for Photoshop Selection Test For Designers. 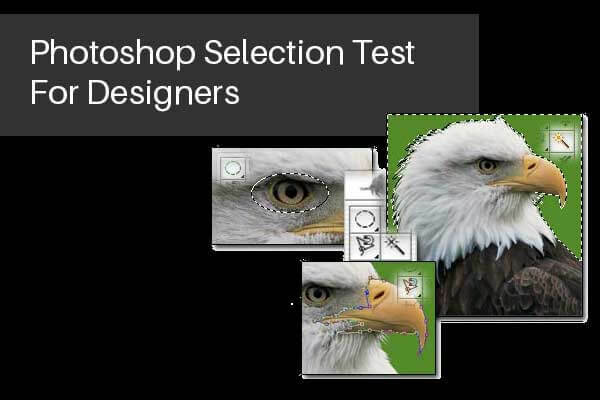 Play our Basic Photoshop Selection Test For Designers Quiz and Earn points and check how sharp your skill are in Photoshop. 1. What is the best tool to select a circle? 2. What is the best tool to select a multicolored book? 4. What tool do you double click on to return to normal size after zooming in? 5. When selecting an image or part of an image, in which the colors are the same the best too to use is what? 7. What key to you hold down to copy a selection in Photoshop? 10. Foreground icon on the tools pallets will show you the color that will be applied with any of the painting tools?